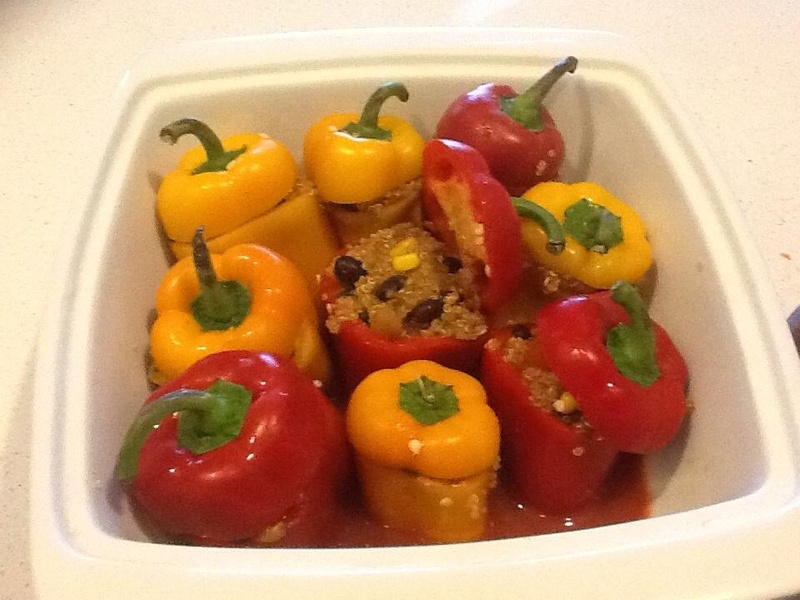 Made Quinoa stuffed capsicums as a light dinner…. As half the family had to race out the door tonight by 6pm, so prepared the night before. Basically made a tomato base by frying onion, garlic, celery and chopped tomatoes in a pot. Added tomato paste, water and salt and pepper (make sure you make it runny), drain off most of the liquid and reserve it to pour around the base of the capsicums. 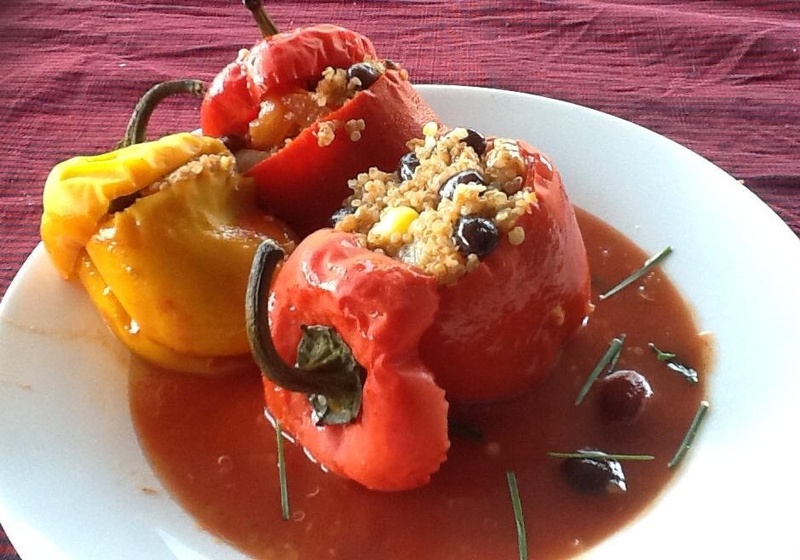 Mix in black beans and corn and 1/4 cup of the tomato mixture. Stuff capsicum and add the rest of the tomato sauce around base and cook for 30-40 mis.